Of course—I mean my “spice rack”! I live in a 1930’s home that came with a mini-cupboard in the kitchen that for sure used to be an ironing board inside. Of course this is super cool and gives my house lots of character, but not functional. 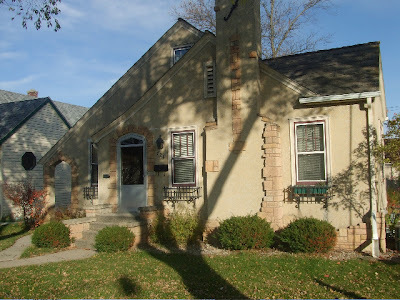 A photo of my house on a NICE spring day! 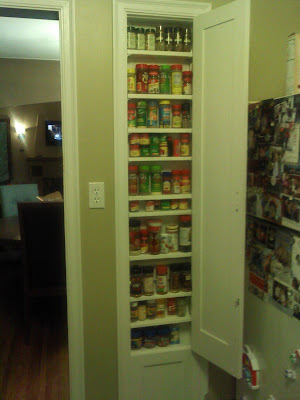 The previous owners had already done a conversion---and turned it into a spice rack. What a cool use of space. When we purchased the house we were sold, however it needed an upgrade. 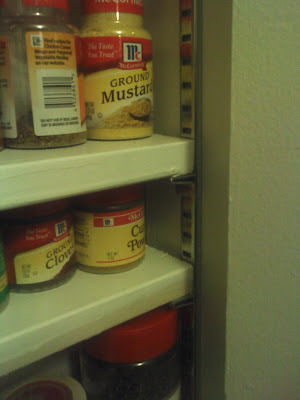 That’s where handy G-Pa (my dad) comes into this…we asked him to spruce up the spice rack. My dad (along with Steve’s help) cut shelving to fit. 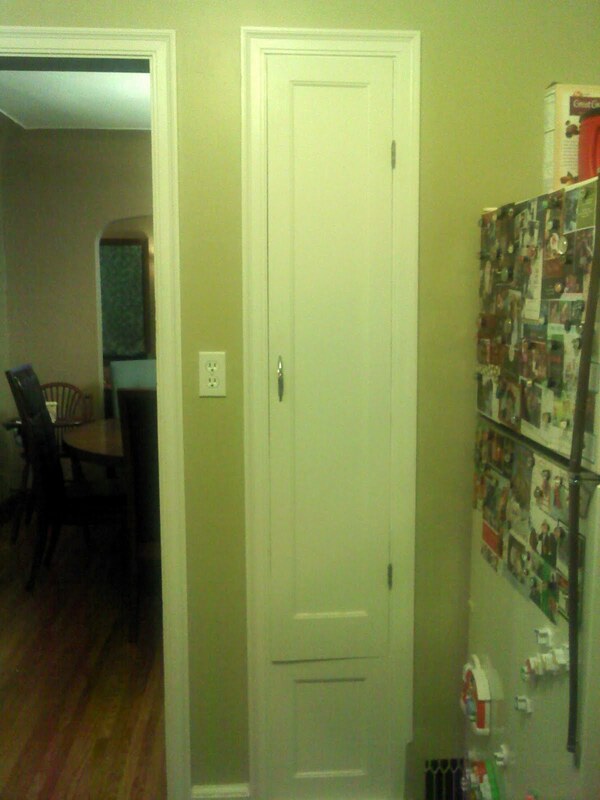 The best part was it was free—because we used leftover wood shelving that was already in the house. Next, we needed to make it bright white. A paint sprayer and bright white paint did the trick (of course I also painted the back and the sides of the rack prior to putting in the shelving). Shelving bracketing strips were put in place with adjustable clips. 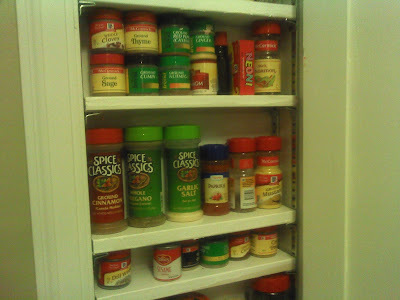 And from all the Indian cuisine Steve has made—we have a TON of spices and guess what? They all fit!